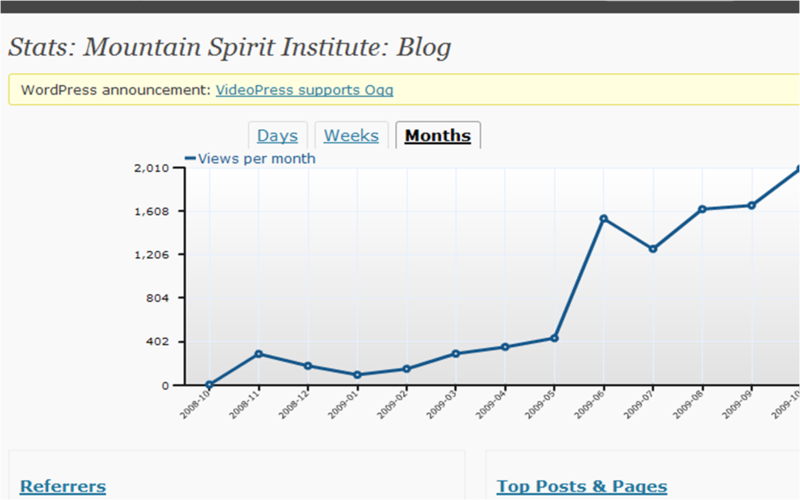 Mountain Spirit Institute celebrates Blog’s 1st year with 700% increase in readership. A blog that started with 2 views in Oct 2008 and 286 one month later has grown 700% in one year to 2000 views per month. 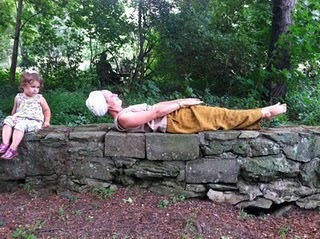 The one year anniversary of Mountain Spirit’s Blog has seen posts as diverse as the organization’s mission statement. Seven months after the blog started the readership rose to 1,540 per month and has been growing steadily since its start. Board members have occasionally contributed and are now adding more subject material as well as breadth and type of posts. Says MSI founder Richards of the blog, “It’s been a ball getting this blog going. It’s eclipsing our quarterly newsletter in activity and interest, so I think we’ll continue building it. Special thanks go to MSI Board members for their contributions, and to executive director Martin Fox of Center for Global Leadership in Park City, Utah for his initial coaching on using WordPress.com as our blog.